10 years ago I woke to another work day. It was to be a warm sunny 86 degrees in Atlanta. I made the 40 mile commute through rush hour traffic to the north side of town to my job at a software company. My coworkers and I laughed and joked around as I waited for my computer to boot. We soon made our way to our cubicles and began taking our calls from programmers and network engineers. Already 900 miles away the plan of terror was in progress. Ronnie told me that a plane had crashed into one of the World Trade Center towers in NY. My mind began to race as I pulled up the news feed from the internet. Was it bad weather? Radar failure? Our phones stopped ringing. I watched the live video as the 2nd plane hit the other tower. I sat there quietly as my mind struggled to make sense of what was happening. Other than being stunned by the events of 9/11 I really cannot comprehend what it was like for those who lived through the events that day in NY, DC and PA. I was safely 900 miles away. That day was not just another day. The images of where I was and what I saw from my computer, along with the emotions I felt will always be with me. 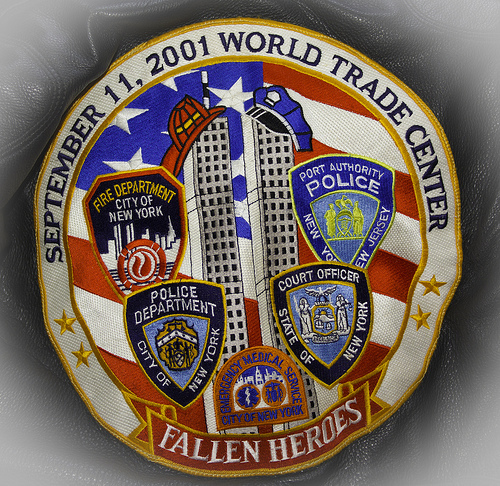 I take a moment to remember the heroes who gave their life so that others might live. My prayers are with those who lost friends and family, and I pray for those who walked through the horror of that day. 10 years later what are your thoughts? Where were you when you learned of the events of 10 years ago on that day? What are the emotions and thoughts that you still experience?